Some of you may already know the importance of a good work/life balance, but some of you might be struggling with ways to avoid burning out. Luckily, our friends at The Simple Dollar put together an amazing infographic that gives you a detailed breakdown of six ways to avoid burnout. Before we can go into detail about how to avoid burnout, we should take a moment to explain what burnout actually is. Have you ever worked so hard that you can barely see straight? That all you can do is put your head down on your desk and cry or fall asleep or both? That’s burnout. It’s working so hard that you burn out all of your energy and leave yourself tired and beat up. Burnout is not only bad for productivity, it also is extremely detrimental to both your mental and physical health. Special thanks to The Simple Dollar for providing us with this amazing resource. It’s hard to maintain a healthy balance between work and life, but, with some discipline and clear boundaries, it is possible. While it is important to have a strong work ethic and to keep your nose to the grindstone, it’s equally important to make sure that you don’t accidentally grind your nose off in the process. These six strategies are all fantastic ways of steering clear of burnout and making sure that you develop good mental and physical health habits, which are underappreciated aspects of the job search. If you’re looking for other job interview tips and tricks, go ahead and check out some of our other blog posts right here! 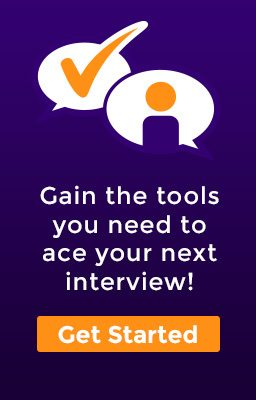 Of course, if you’re trying to get the best job interview help possible, you should create an account with Aced My Interview today and schedule an appointment with an Interview Specialist.